Rio de Janeiro is an awe-inspiring city of contrasts. Impossibly steep granite mountains jut out of the ocean between glorious stretches of golden sand, impeccable colonial buildings nestle in between modern glass skyscrapers and verdant forests tumble down hillsides into densely populated residential areas. It is a city high on life, a city of beach worship, football, samba and Carnival. And high above all this fun and frivolity stands Rio’s ever-present, iconic landmark – the statue of Christ the Redeemer. The continuing strength of foreign currencies against the Brazilian Real and the national football team’s success in the 2002 World Cup have both helped to make Brazil, and Rio in particular, an increasingly popular and affordable year-round destination. And as the host of the forthcoming Pan American Games in 2007, the city is undergoing considerable regeneration and many new hotels are either built or being built. As well as the city’s well-known landmarks of Corcovado and Sugar Loaf mountains, Rio boasts a wealth of attractions and activities, plus great food, music and entertainment – enough to keep a visitor busy for any length of stay. Situated in southeast Brazil, on the natural port of the Baía de Guanabara (Guanabara Bay), Rio is a city of over 10 million people squeezed between the ocean and the mountains. The cidade maravilhosa (marvellous city) is a melting pot of cultures and peoples in varying degrees of wealth or poverty. In Rio, the rich and poor live together and the exclusive areas stand in stark contrast and close proximity to the slum areas or favelas. But no matter what their background or economic standing, the Cariocas (as the citizens of Rio are known) are characterised by a passion and enthusiasm for life, which is on full show during Rio’s famous annual Carnival. Central to the Carioca lifestyle is the beach. From dawn until dusk and even after dark, the residents of Rio can be found enjoying the long stretches of sandy coastline with which the city is blessed. The beach is not merely a place to absorb the sun’s rays but also an important venue for sports, socialising and even business. It is a people-watcher’s paradise – clothing is minimal and bodies are bronzed and beautiful. The famous Copacabana and Ipanema beaches are magnets for Brazilians and tourists alike. It has taken 500 years for Rio to transform itself into one of the world’s greatest cities. On 1 January 1502, Portuguese explorers sailed into Guanabara Bay and named it Rio de Janeiro (River of January), under the mistaken impression that it was an enormous river mouth. The French attempted to gain control of the bay in 1555 but were finally evicted by the Portuguese in 1567. The Portuguese colony was based on sugar cane and agricultural products throughout the 17th century, until the discovery of gold in the nearby Minas Gerais region led to the city’s emergence as a control, export and taxation centre. Black slaves formed the majority of the population in these early days of trading and the African influence is still present in the city’s culture. The capital of colonial Brazil was moved from Bahia (now Salvador) in 1763 to Rio de Janeiro and the city began to flourish, especially when coffee became the predominant export in the 19th century. After the Portuguese monarchy was exiled from Portugal, when Napoleon conquered Lisbon, Rio became their home and eventually the capital of an independent Brazilian Empire. Finally, Brazil became a Republic in 1889; Rio de Janeiro remained its capital until 1960, when the Federal government was transferred to Brasilia. Rio has continued to grow and has become a popular destination not only for tourists but also for migrants from other parts of the country. Despite its development, the city still has more than its fair share of social problems. Strong divisions exist between the ‘haves’ and the ‘have-nots’. Attempts have been made to curtail crime, although both residents and tourists should remain alert to petty thieves. Rio’s best season is undoubtedly the summer months, between December and February, culminating with Carnival. Temperatures can rise to around 40ºC (104ºF) or more, which is ideal weather if tourists do as the Brazilians do and visit the beaches rather than rush around. Travel can be a lifesaver. The right vacation at the right time can revitalize your whole year, not to mention your body and mind. But in today’s economy with airlines adding new fees almost daily and ticket prices sharply on the rise, many have written off travel as too expensive. However, with a few savvy tricks and a little research, there are still lots of great deals to be had on airline tickets and more. Early Bird Gets the Deal. Travel experts say that there are certain times of day when more deals are available. Airfares can change three times a day as airlines adjust their prices to fill up flights. Early morning is when the fares tend to be lowest, but it is a good idea to check every five hours to track prices as they change throughout the day. Also, it’s a good idea to check again at 5 PM when the airlines are trying hardest to fill empty seats. What Wouldn’t a Business traveler do? Flying when business travelers don’t can save you a bundle. Most business travelers fly on Mondays and Fridays, so Tuesday and Wednesday are the best days. Airlines will usually lower their prices on these days to aggressively try and fill empty seats. Avoid the Crowds. Fly to popular places at unpopular times. The slowest time of the year for travel is in the Fall between Labor Day and Thanksgiving. Again, to try and fill more vacant seats, the airlines will lower prices and offer better deals to get people to fly during this time of the year. Right place, “wrong” time? By flying to popular destinations at unpopular times, you can secure the best prices from travel companies and airlines. Here’s where flexibility in your planning can pay off. Going to the airline websites and planning your vacation around the best ticket prices offered can result in a fun, cost-effective vacation and maybe widen your horizons to a place you might never have considered before. Package Deals Many times the best deals on airfare can be found as part of a package rate. Most travel sites have package rates available and they are definitely worth a look. 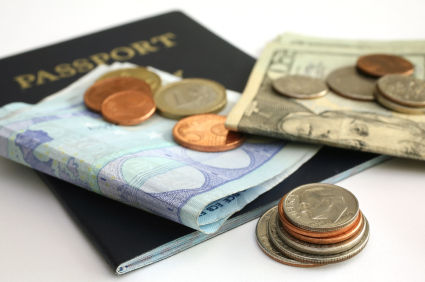 Often times, the entire package (hotel, airfare, rental car) is cheaper than just the plane ticket on another site. Even if you don’t need the rental car, with the money you saved on the flight, you can afford to not pick it up. These deals are especially good on last minute bookings. African Travel is offering a new South Africa travel program called “In The Footsteps of Mandela,” which is based on the life of the leader who led South Africa out of its apartheid period to its first fully democratic government. The itinerary focuses on the history of South Africa through a series of excursions and encounters. Guests will enjoy intimate multi-ethnic interactions, including dinner in the home of a local family, and they will be touched by personal interactions with South Africans. An introduction to the natural beauty and wildlife of South Africa will unfold during their stay at a luxury safari lodge. The eight-day program includes three nights at The President Hotel, Cape Town; two nights at Balalaika, Johannesburg; and two nights at Kapama River Lodge, Kruger Private Reserve. Clients will explore a Cape Town area township gaining insight into daily life, visiting the shops and a shebeen (local bar) and a traditional Xhosa healer. They will discover the heritage and history of South Africa on a full schedule of excursions including a ferry ride to the infamous Robben Island, where Mandela was imprisoned for 27 years. 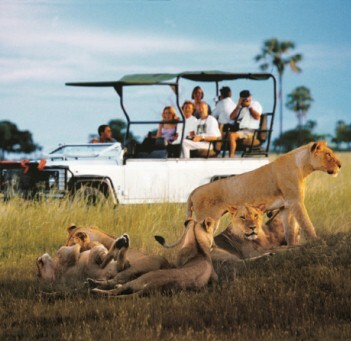 They will experience wildlife viewing in 4×4 vehicles and a visit to the Hoedspruit Centre for Endangered Species. Ethiopian Airlines announced the launch of online passenger check in services starting on October 24. The new service will enable customers to check in online to avoid airport queues. The web check in services will help enhance operational efficiency as well as maximizing the airlines customer services according to Gobena Michael Chief Commercial Officer of Ethiopian Airlines. Online services allow passengers to select their own seats, confirm special requests, update personal information, register their loyalty miles while checking in and print boarding pass. This service allows Ethiopian passengers to go directly to the boarding gate at the airport. Passengers with check in baggage will be able to drop of their luggage at the drop off zone. Online check in services will be available from 2 to 48 hours before departure for international flights and 2 to 24 hours prior to domestic flights. Passengers that do not have check in luggage can arrive at the airport 60 minutes before departure for international flights and 45 minutes before hand for domestic flights. The web check in service will be available for 32 destinations initially. The Airlines expects to expand the online check in service for all destinations. Ethiopian Airlines, one of the largest and fastest growing airlines in Africa, made its maiden flight to Cairo in 1946. With the addition of new flight services to Seychelles the coming winter, Ethiopian will provide dependable services to 64 international destinations spanning four continents. Egypt Air has launched daily flights to Addis Ababa from Cairo as of the 31st of October. 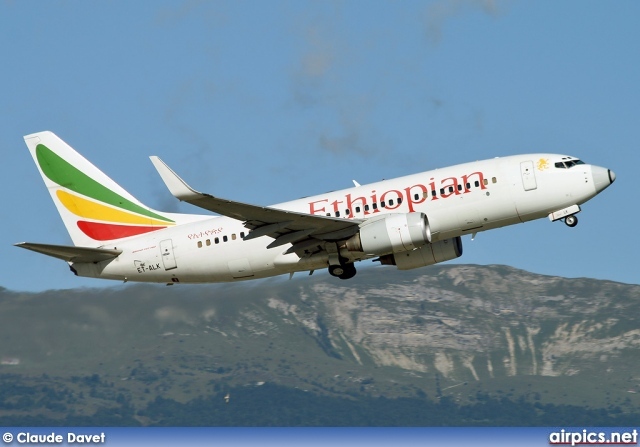 Flights from Cairo to the Ethiopian capital used to be only five days a week. Egypt Air has cultivated loyal clients and strong partners in Ethiopia said Maged Michel Addis Ababa Office Manager for Egypt Air. The launch of the daily flight is a significant occasion for the airlines he added. 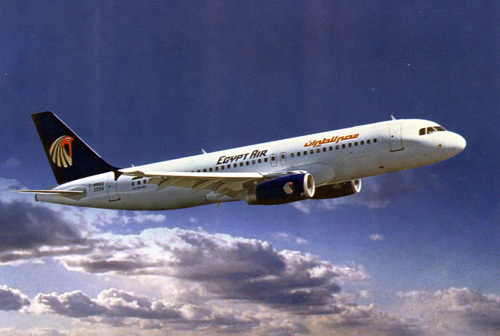 Egypt Air resumed flights to Addis Ababa, which had halted when the Derg was in place, in 1995 said Michel speaking at the official launch ceremony held at the Sheraton Addis. The number of flights per week has gradually grown over the years he explained. The Egyptian people have experienced major changes this year which has been reflected in relations with Ethiopia he noted. An increased amount of travel between the two countries will play a positive role in enhancing the relationship between the two countries said Mohammed Edress Egyptian Ambassador to Ethiopia. Effective, efficient and active transportation is important to enhance and strengthen relationships between Ethiopia and Egypt according to Ambassador Edress. The increased transport connection in addition to the high level political visits between the leaders of the two countries reflect a new phase which reflects multi-track approaches and increased cooperation in different sectors he said. 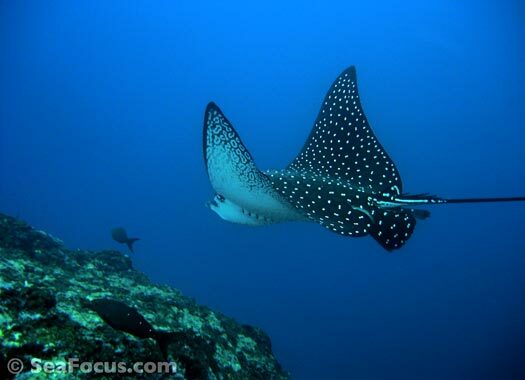 You are currently browsing the TOURIST LIFE TRAVEL & TOUR blog archives for November, 2011.